Miss Earth Sierra Leone held its 4th edition of the national pageant on 11th August 2018 at Miatta Conference at 8 PM, Alma Nancy Sesay was crowned Miss Earth Sierra Leone 2018. Miss Earth Sierra Leone 2017 Ismatu Daramy crowned her successor at the end of the event finale. From Freetown, Nancy competed with four other contestants to win the national title. She will now represent Sierra Leone at Miss Earth 2018. With the theme of ‘Promoting Women in Agriculture’, the contestants trained and advocated their advocacies with the mission to raise environmental awareness amongst the people. Sierra Leone is yet to pioneer its win at Miss Earth pageant. Ismatu Daramy represented Sierra Leone at Miss Earth 2017. 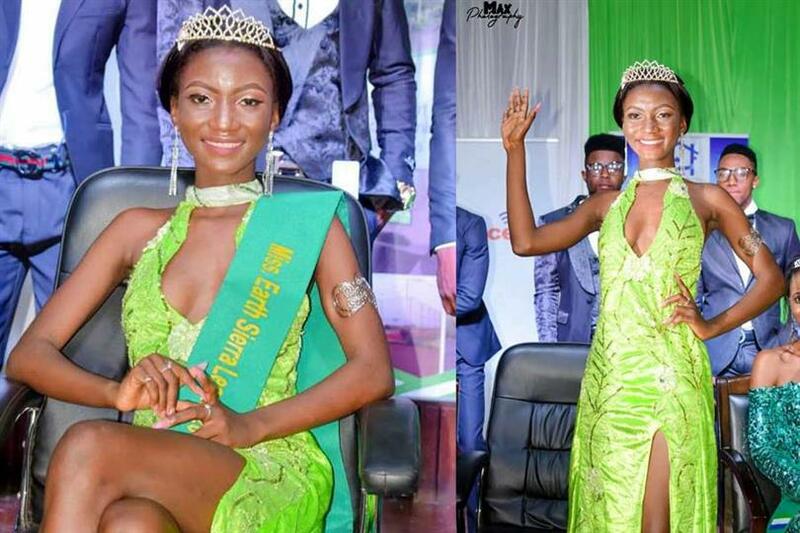 She replaced Claudia Josephine Suma, a finalist at Miss Earth Sierra Leone 2017 who supposedly replaced Esther Williams following Esther's indication of her inability to participate and represent Sierra Leone Miss Earth 2017. Congratulations to the newly crowned queen.